“Plow operators need to be ready to handle a wide range of situations, and that’s why we’re giving them even more options on our most versatile plow,” said Tyler Jones, product manager of Fisher. Fisher Engineering, manufacturer of Fisher snow removal and ice control equipment, announced several significant updates to the XLS expandable wing line of plows at the 2018 NTEA Work Truck Show, including new blade options and sizes. The XLS plows carry more snow than ever with their new flared wings, which are expandable to help the operator maneuver confidently in areas like parking lots and alleys. The XLS snowplows are also now 2 in. taller, standing at 31 in. tall, with the flared wings rising up to 36 in. Fisher Engineering has also announced a new width of the XLS plow, now offering an 8 ft. 6 in. version of the plow, in addition to the updated 8 ft. plow. This new, wider plow extends out to a full length of 11 ft., making it versatile enough to handle large snow-removal tasks and fitting up to Class 6 trucks. That versatility is all in the hands of the operator, with easy touch-button or joystick controls that independently change the position of each wing. The operator can switch the plow from scoop to windrow to straight blade right from the driver's seat. Finally, the new Fisher XLS plows are now available in corrosion-resistant stainless steel. This enhanced finish gives snowplow operators extra options when deciding which plow would work best with their fleet. The plows are also available in their signature yellow powder-coated steel. 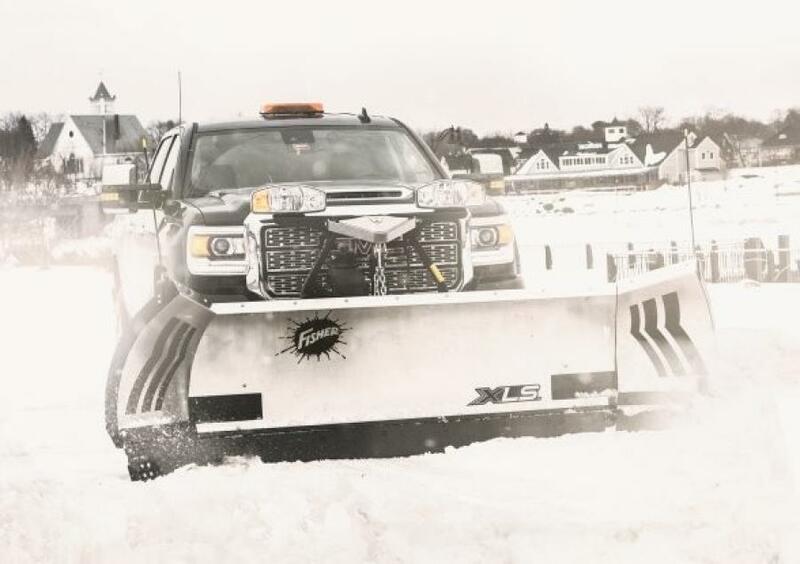 Unique to Fisher, the XLS plows sport an industry-leading trip edge design to protect the equipment and operation in the event of an unseen obstacle. Only the bottom edge of the plow trips, so the blade stays upright and snow stays in front of the plow. For added strength, the new XLS plows are reinforced by 10 vertical ribs, a heavy-duty torque tube and a structurally reinforced slide box. Information on the all-new XLS expandable wing plows will be available on the FISHER website in May 2018. Fisher Engineering is part of Douglas Dynamics. For more than 70 years, the company has been innovating products that not only enable people to perform their jobs more efficiently and effectively, but also enable businesses to increase profitability. For additional information on Fisher products, visit www.fisherplows.com.